Your lifestyle is fitness. And your equipment needs to go the distance. The new Precision™ Series Precor EFX 447 Elliptical Fitness Crosstrainer is a commercial model for your home with the design and features favored by fitness center exercisers and owners. New technology uses your preferences and exercise data to deliver a personalized workout experience that promotes better results and saves you time. The Precision Series is club-proven reliability in an Elliptical personalized for your home. You want the absolute best from yourself and your fitness equipment. The Precor EFX 447 Elliptical is Precor's top-of-the-line treadmill with a full set of features and fitness center quality construction. Precor technology helps you achieve maximum benefit from your exercise. Thoughtful design features anticipate those little Thoughtful design features anticipate those little things that make your workout easier and more enjoyable. The new Precor EFX 447 Elliptical, Precision™ Series is a commercial model for your home with the design and features favored by fitness center exercisers and owners. Your lifestyle is fitness. And your equipment needs to go the distance. 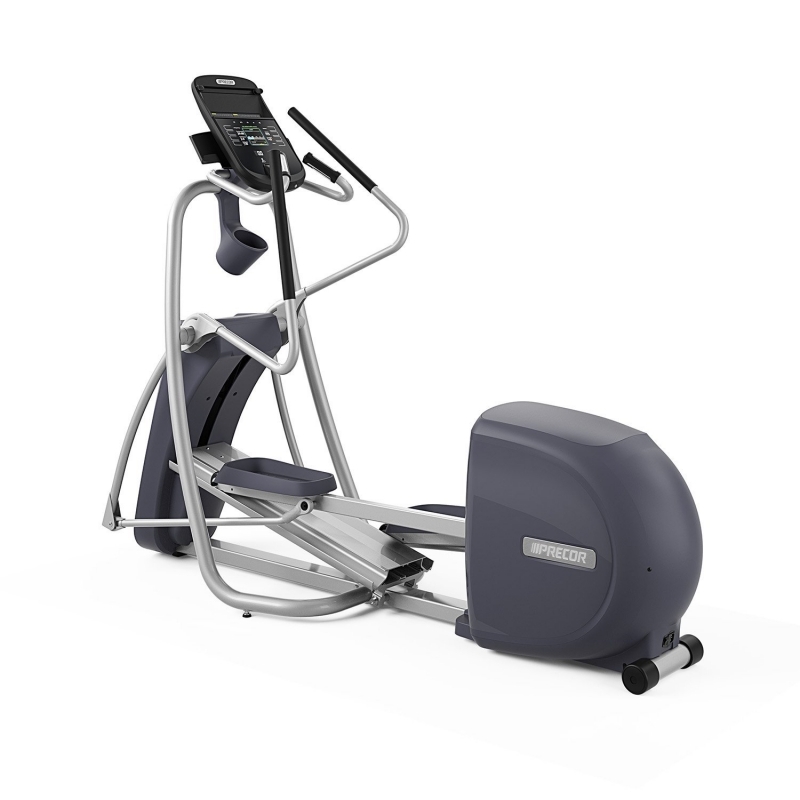 The new Precor EFX 447 Elliptical, Precision™ Series, is a commercial model for your home. Top-of-the line entertainment, superior technology and fitness expertise are all built-in to the Precor EFX 447 Elliptical. With your iPod®/iPhone® Compatibility you can catch up on the news or browse Facebook® while you run. You'll look forward to your workouts. There are many benefits to an elliptical. Having a machine like the Precor EFX 447 means you can benefit from variations in terrain that may not be available locally, as well as a way to supplement your outdoor routine when the weather turns colder. You won't believe how easy it is to stay motivated to work out with the Precor EFX 447 Elliptical Fitness Crosstrainer. Simple navigation makes it quick and easy to pick your workout and get going! The Precor EFX 447 Elliptical Fitness Crosstrainer makes it easy to get the body you want. Don't wait! Call 1-800-875-9145 to speak with one of our fitness advisors with any questions you may have. 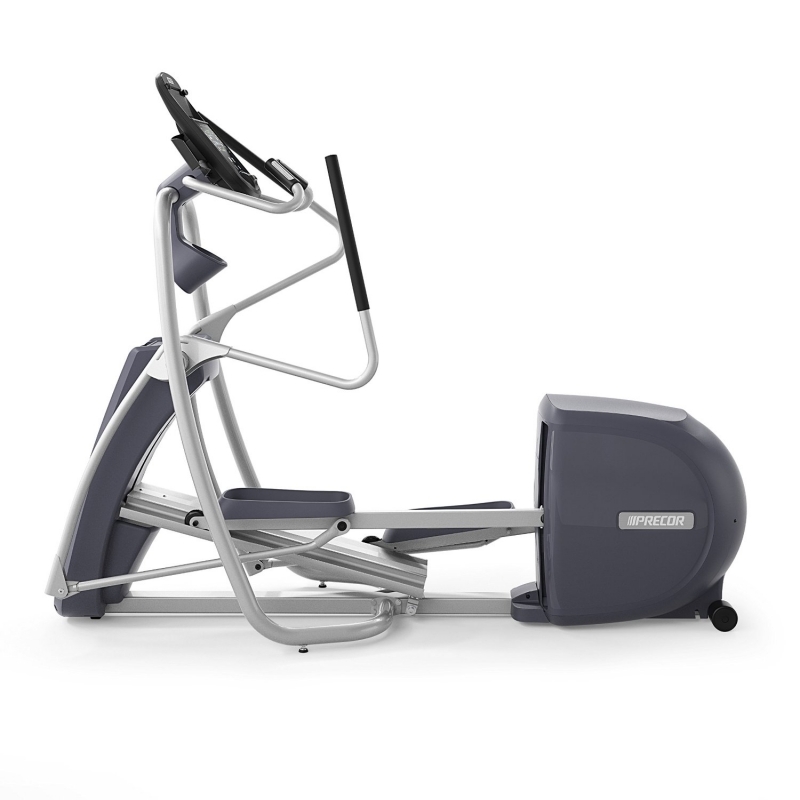 Go to FitnessZone.com today to order your Precor EFX 447 Elliptical Fitness Crosstrainer today! Maximize your workout results with touch sensor and wireless heart rate monitoring. Works with any Polar compatible wireless heart rate transmitter (included). Your workout data from the EFX 447 can be automatically uploaded to the Preva mobile app making it easy to track your goals and achievements. 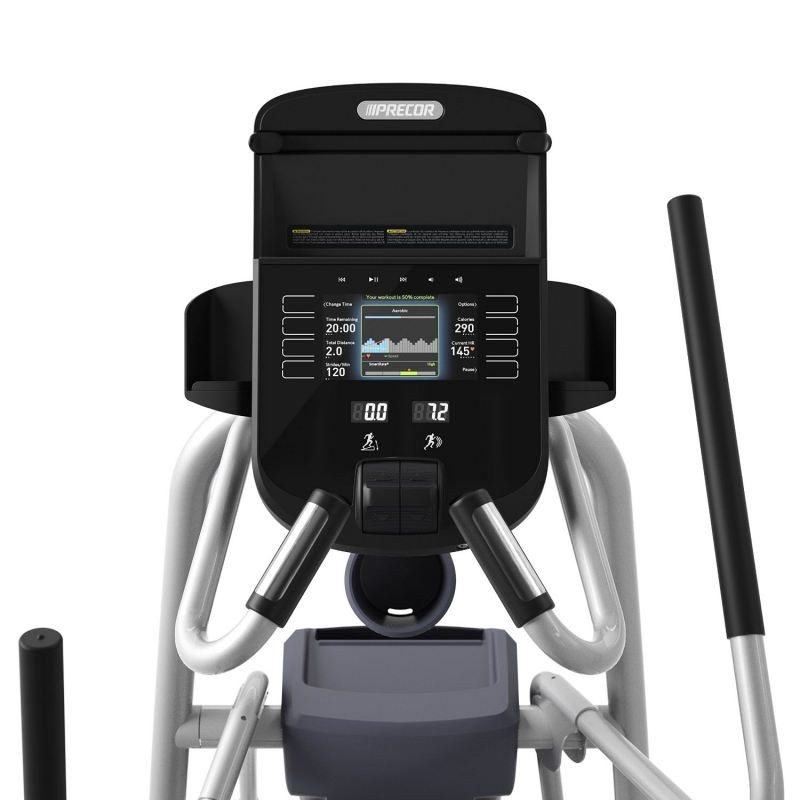 Order your Precor EFX 447 Elliptical Fitness Crosstrainer from FitnessZone.com today!